Log into your account for a personalized BOL. No login? Fill out our online BOL form. It’s easy to schedule a pickup with us. Log into your account, fill out and email your BOL, or give us a call. With headquarters in Wichita and eight terminals throughout the Midwest, Dugan is here for you. 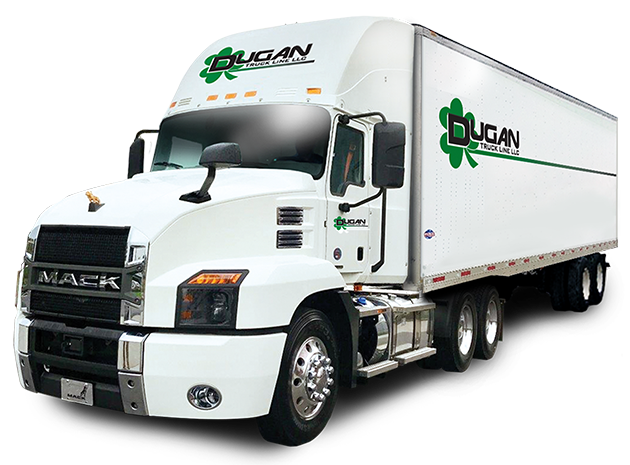 Dugan Truck Line, LLC is an LTL (less than truckload) overnight transportation carrier providing service throughout Kansas, Illinois, Missouri, Central and Northwest Oklahoma. We also serve major metros in Texas (Dallas/Fort Worth, Houston, San Antonio, Austin) and Omaha, Nebraska. While Dugan has a fleet of trucks and state-of-the-art technology to help deliver high quality service, it is our people who truly make the difference. We believe that reliable service and on-time delivery is just the beginning. As a customer, you have a right to professional, quality service and an incredible experience. Dugan employees deliver, every time.